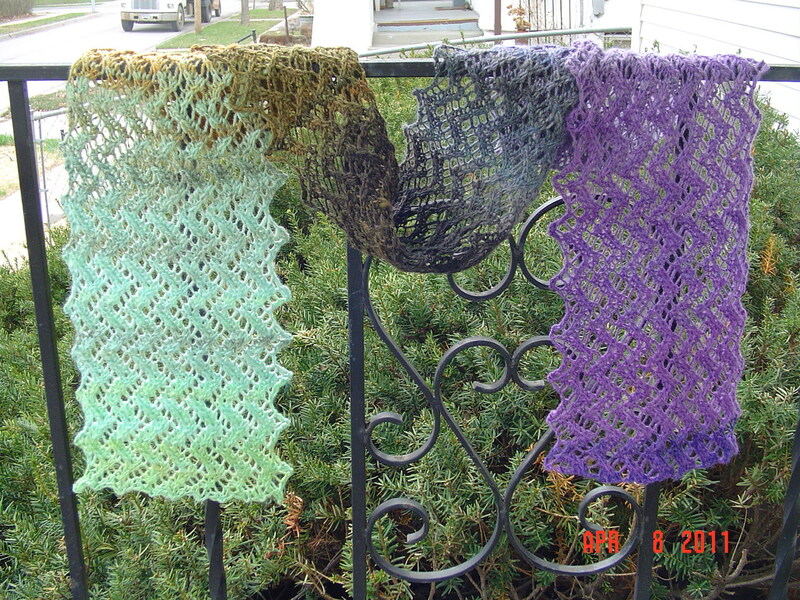 I must admit to being completely addicted to my handspun gradient scarf. It is one of those projects that was like crack for me. I did actually spin and work on 2 other projects during the time period I knit this scarf, and yet it still only took me 6 days. Less than a week! Of course, if we count the time it took to spin the fiber, it would be a 2 week project. 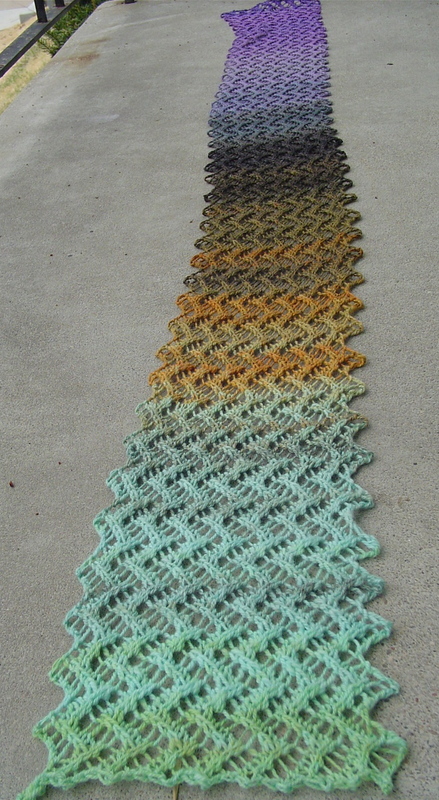 And so, I present to you my handspun gradient scarf. The wool: Falkland wool from Dyeabolical’s first fiber club. This was the March installment. You should probably know that I adore her in a very big way. We will hear more about that later, I’ve got a very fun project coming up that involves her and her beautifully dyed yarn. The pattern: Palette from knitty.com, spring 2007 issue. I truly believe this the perfect pattern for the scarf. It was not an “easy” knit. There is lace patterning on both sides. It took me some time and a bunch of ripping to get it right, but once I did I could knit it up pretty fast. I could never go without the pattern on this one though, it was not a portable project. The spinning: 240 yards of navajo plyed yarn. To say I am pleased would be an understatement.